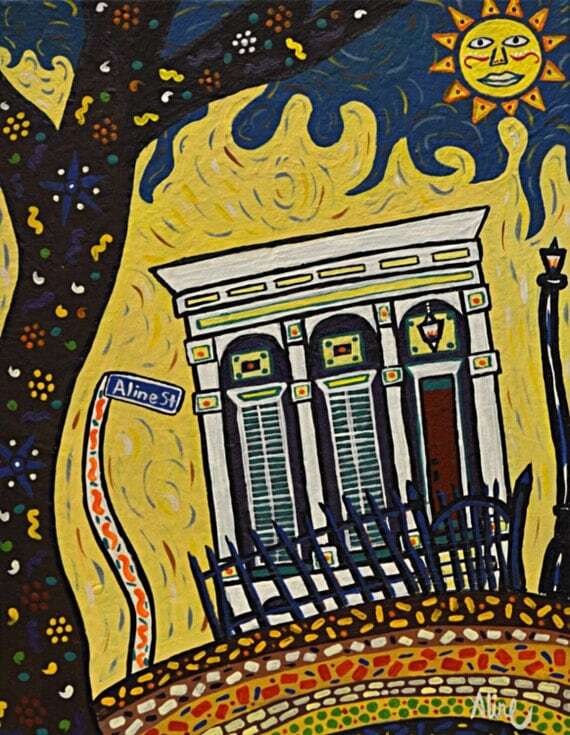 Hello Etsy Nola friends! 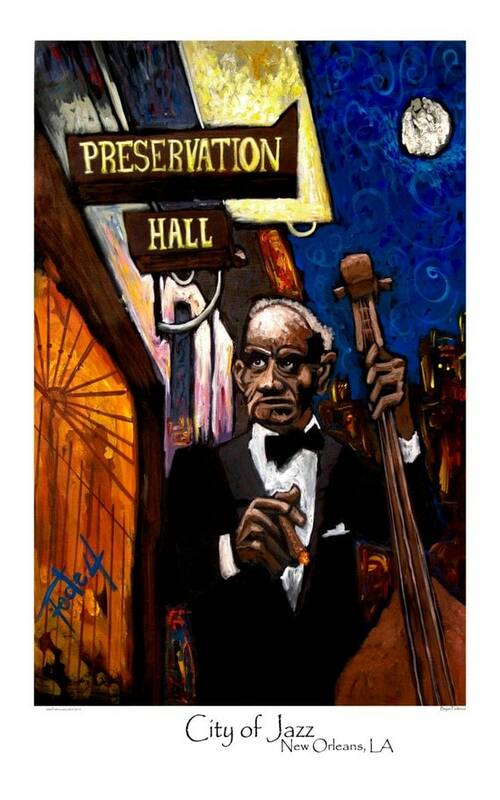 I hope you have all been having a lovely spring and hopefully you got out to Jazz Fest to hear some of your favorite music (or, just eat the delicious food!). I know we had a steady flow of visitors from out of town who came to enjoy the incredible food, music and weather. Oh my gosh, it's been so nice out! Some of our favorite friends in town for the festivities were a pair of brand spanking new parents who came with their eight week old all the way from the Bay Area to spend time with friends and family as well as hit up the Fest. I think he was the tiniest baby I ran into the whole time. He was a real trooper and his parents were amazing, well-prepared and super patient. Their little one is the inspiration for today's post - Etsy Nola has so many incredible, original goodies for babies! The Posh Baby Shoppe has super sweet vintage baby hats for great prices. 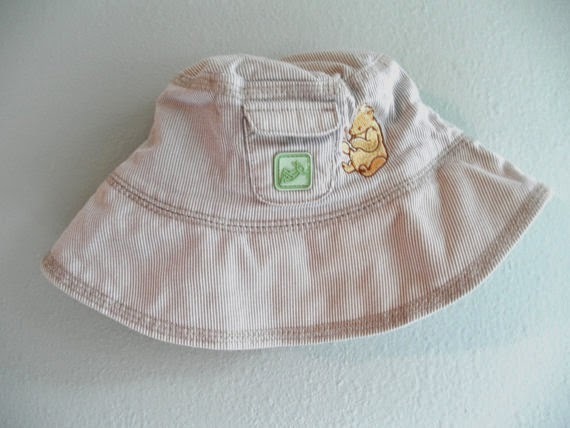 If there's one thing every Nola baby needs, it's a chic chapeau for this spring sunshine! 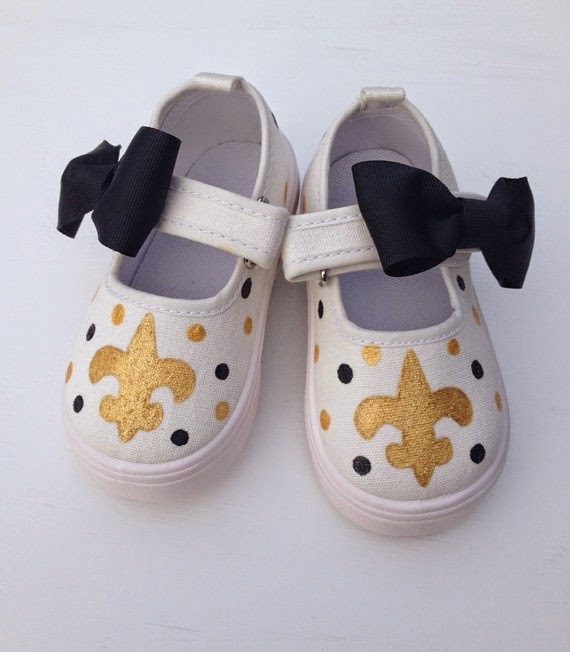 Beaucoup Boutique specializes in hand painted and decorated canvas shoes for the little ones. Easy to put on for the toddlers, and decorated in festive, fun prints. 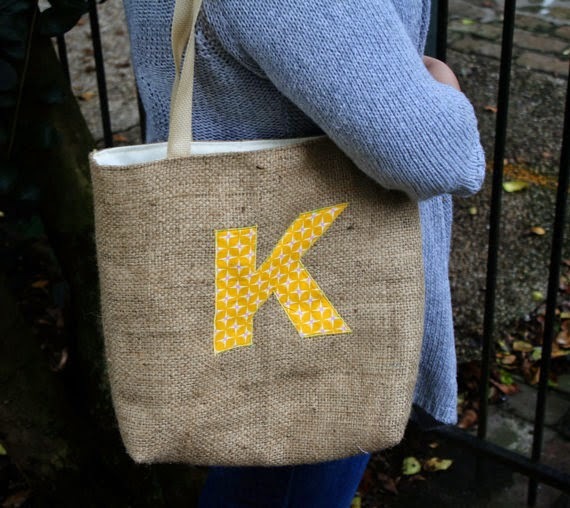 I'm currently in love with these cute burlap totes from Sazerac Stitches! I know they aren't necessarily baby-related, but I think they would make an amazing diaper tote with your sweet little one's initial on the side! I saw a few parents with toddlers and small children who had their little ones carting their own little backpacks of goodies around the festival, which I thought was brilliant. 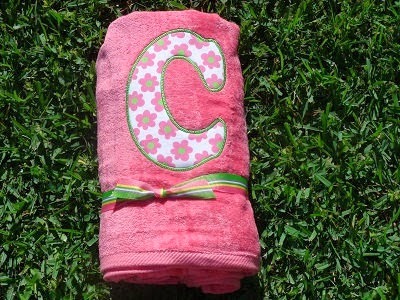 These personalized beach towels from Ingrid Elizabeth would be great for little ones to use as festival blankets (and to take to the beach or pool!). She also has adorable tutus in a variety of fun colors! Lastly, no festival-goer should be without a parasol to stave sunburn and join in the second line. 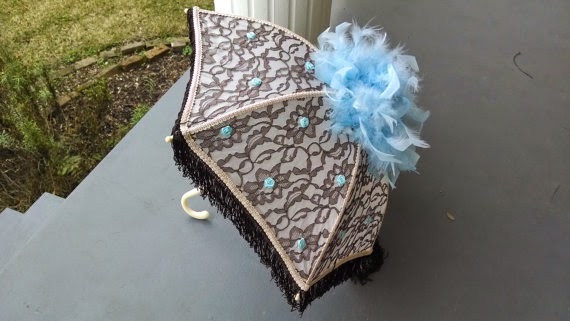 New Orleans Umbrella Co. has a fantastic selection of feathers and fringe to choose from! Happy Festing y'all! 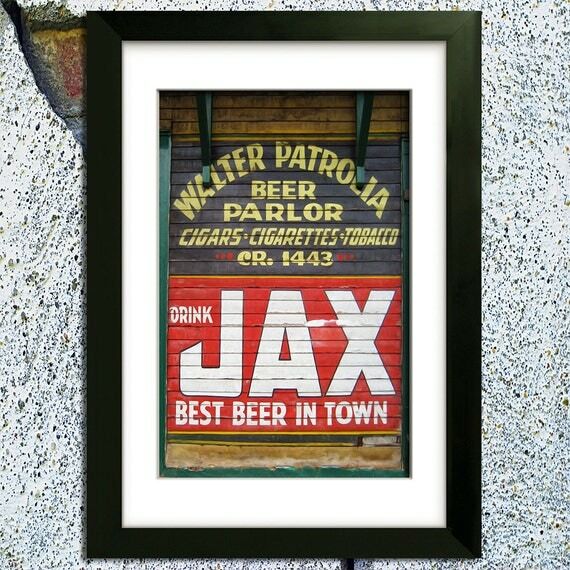 We'd love to see how you use some of your Etsy Nola finds during this spring festival season! Share with us on Facebook! Contributed by Emily Frock of Fried Green Design. When not helping out with the Etsy Nola blog, Emily can be found blogging at Fried Green Design, helping brand small businesses and designing beautiful stationery and thoughtful artwork for the lovely people of the world. And just in time for easter, someone please make these adorable Easter Egg Whoopie Pies for me! So, you splurged for Christmas or were gifted something beautiful for Hanukkah. You've set your sights on the the perfect Valentine's Day commemorative piece. However it came to be, you've recently come into possession of an incredible handmade beauty that you can't wait to display - except, you're in a rental home with restrictions on wall hangings and modifications. What's an Etsy buyer to do? 1. Removable Hooks. 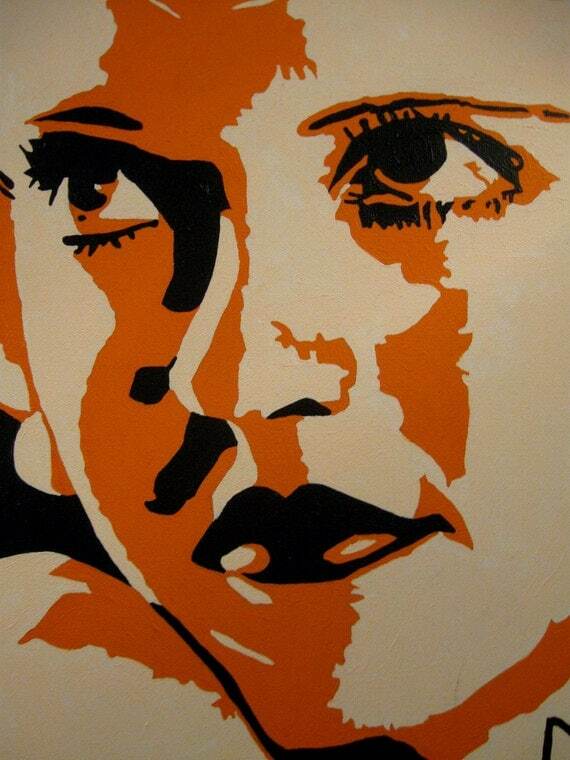 If you've purchased a piece on canvas, you may not need a frame at all. Canvas is light weight and a perfect candidate for hanging with removable hooks. Look into plastic hooks with foam tape backs that have a peel off tab to use when you're ready to remove your work from the wall. These hooks are available at most office supply stores, big boxes and many local pharmacies and hardware stores. 2. Choose Frames Wisely. Often frames can make or break a piece. There are lots of options out there - from poster frames to ready-mades to fully custom pieces from local artisan frame-makers. Be choosey, but also be practical. That hardwood molding may sound like a great idea, but it's going to do major damage to your plaster walls or inherited wall paper. Sometimes a light weight poster or frameless frame is the way to go. These can most readily be found at craft stores and your big box of choice. 3. Working With Easels. So, you decided on a really beautiful, yet heavy frame to go with your new piece, because it perfectly enhanced your new artwork. This could be an opportunity to check out thrift and antique stores to find a vintage easel. Or get a new easel at an art supply shop and paint it - they usually come in unfinished pine. Be sure free-standing easels are out of the way of foot traffic. The nice part is, you can move your artwork from spot to spot with ease, before nailing down the final location. There are also table-top easels and frame stands, in a fold-out variety that can be purchased in different sizes to fit your piece. I recommend spending a little more for these types, as my experience is you get what you pay for. Table top easels work great for housing your piece on a book case, dresser or counter. If you aren't an easel person, check out vintage telephone tables, skinny side tables and tall, thin shelving units geared toward holding plants. 4. Blend Your Art In. 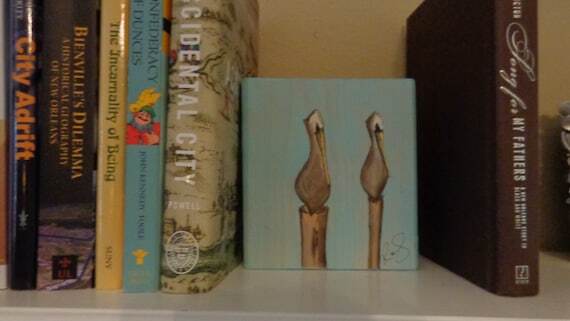 I love the idea of stashing your art in unexpected places. The piece below, from Laissez Girl shows that if you choose your art to fit your space, you can display it nearly anywhere. Tucked into a bookcase or with your DVDs. On a window sill or on top of your medicine cabinet. Pieces that are created on thicker material can stand up all on their own. 5. If You Must Poke a Hole. I've seen lots of great ideas on Pinterest lately, and in person at galleries, that use minimally invasive hanging techniques. Using binder clips hung from thumb tacks will make less of a dent in your wall than hammer and nails. Leave prints unframed and string a pretty cord from one corner of the room to another and clothespin your pieces to the line. Putting holes in the corners will be less noticeable than in the middle of a blank wall. Similarly, if your home as crown molding, it's less messy to drop a line from where the crown molding meets the wall. If you do go unframed, you'll probably need to weight the bottom corners of your artwork, because it's Louisiana, after all - your paper is going to curl! I would love to hear your suggestions for alternative methods of artwork display! Leave us some comments and ideas!